Platelets, also called thrombocytes, are a component of blood whose function (along with the coagulation factor) is to react to bleeding from blood vessel injury by clumping, thereby initiating a blood clot. 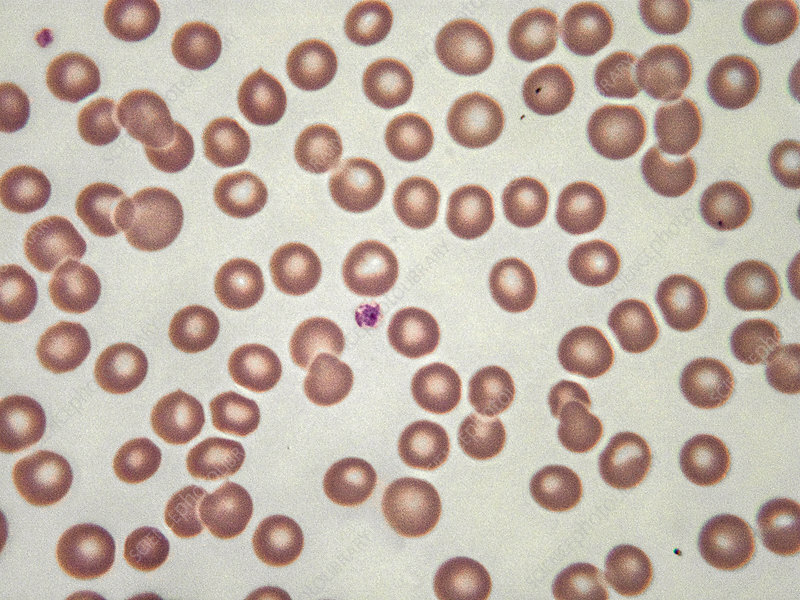 On a stained blood smear, platelets appear as dark purple spots, about 20% the diameter of red blood cells. Light micrograph, Wright-Giemsa stain. Magnification: 100x.